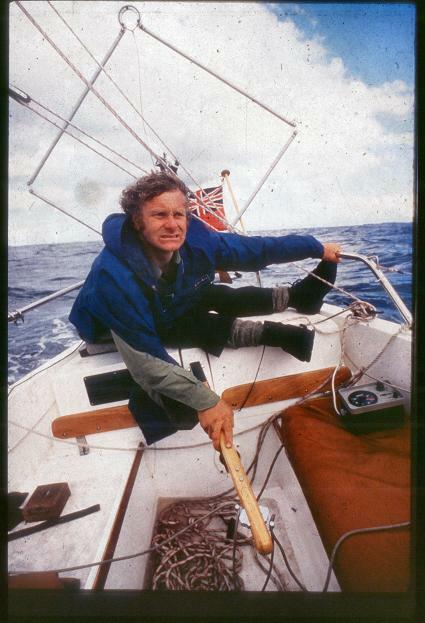 My friend James Drinkwater, who sails a lovely junk-rigged boat Barny out of Ipswich, has sent me a link to a fantastic log “Sailing Single Handed to the Azores and Back” by Mike Spring from 1983, the year after Tammy Norie herself was built. 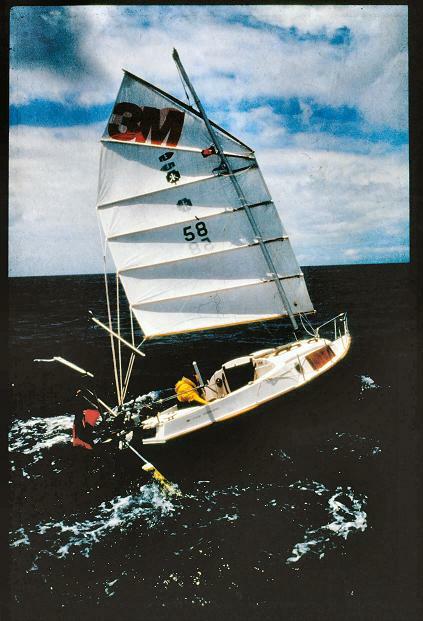 The voyage was sponsored by 3M and the boat named 3M Mariner. He had all sorts of equipment aboard that we’d consider obsolete today, including a very early satellite navigation system that took 40 minutes to “warm up”. Highly recommended. Many lovely photos. This sailing position looks familiar.